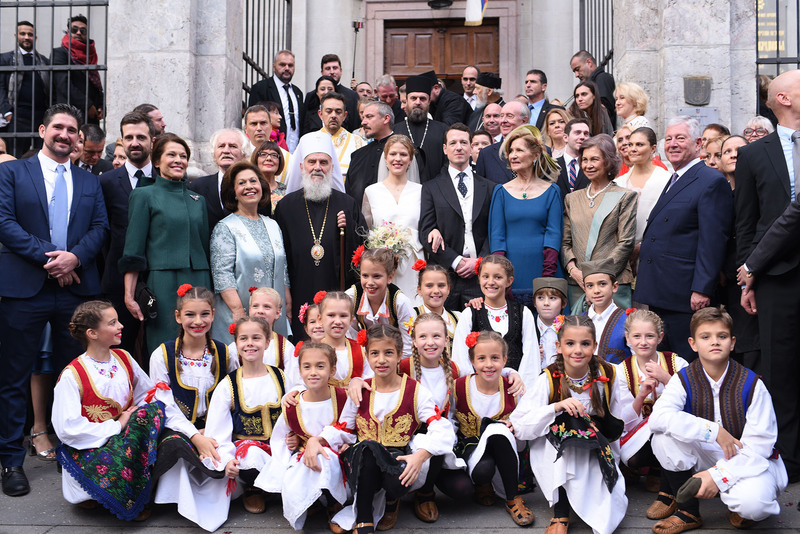 Belgrade 08/10/2017 – His Royal Highness Prince Philip and Miss Danica Marinkovic were married at Saborna Church in Belgrade. 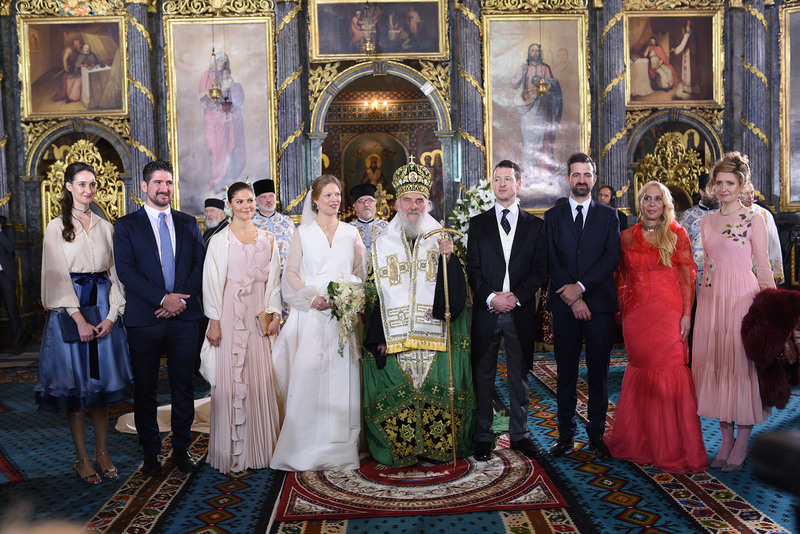 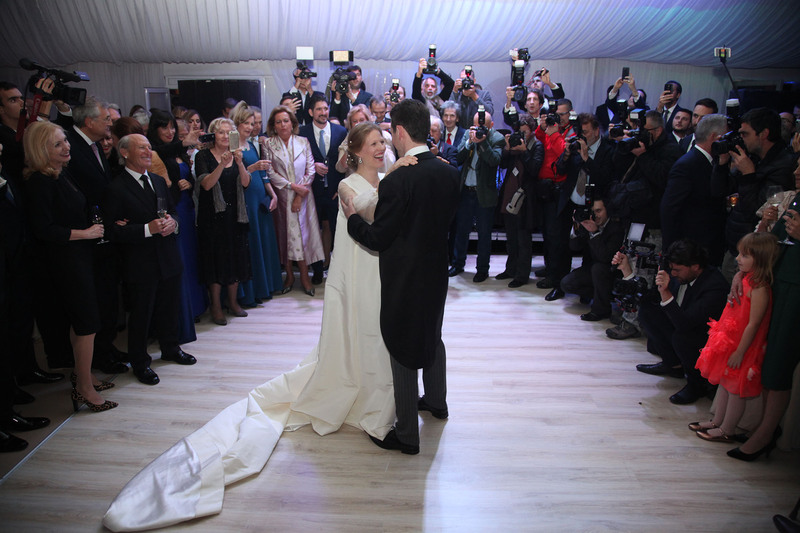 The wedding was officiated by His Holiness Serbian Patriarch Irinej of Serbia. 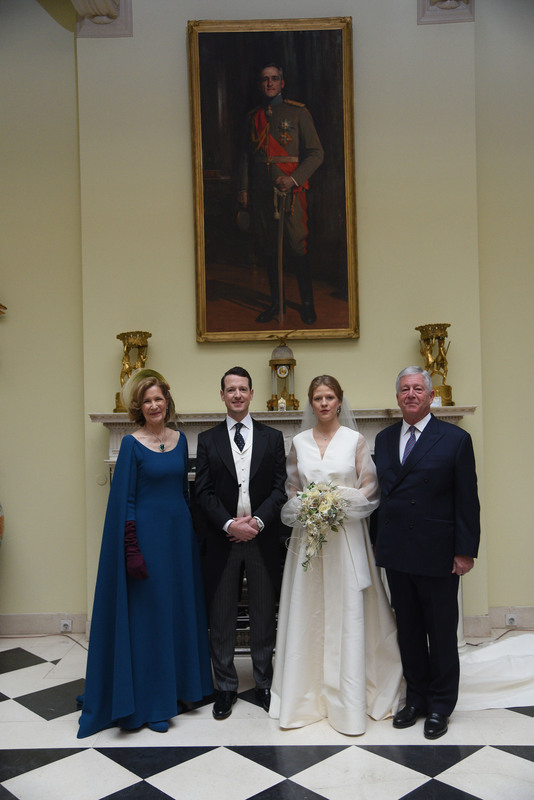 The Godmother was HRH Crown Princess Victoria of Sweden and Godfather was His Royal Highness Prince Peter. 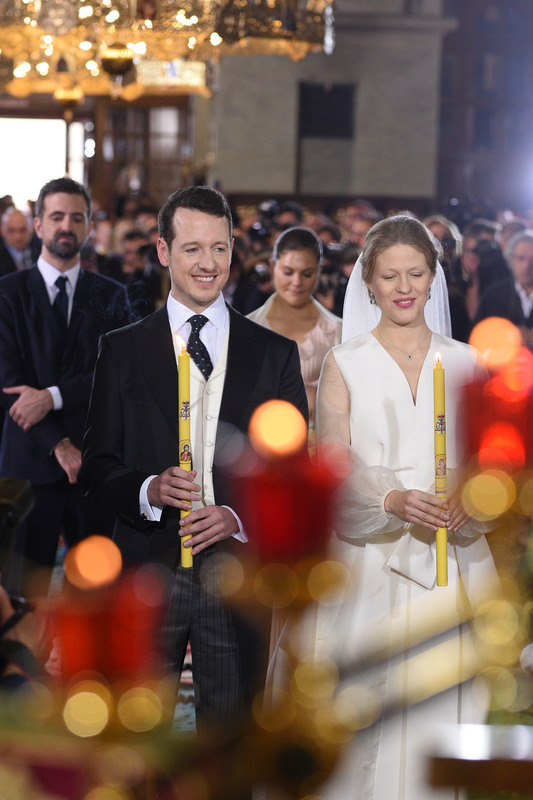 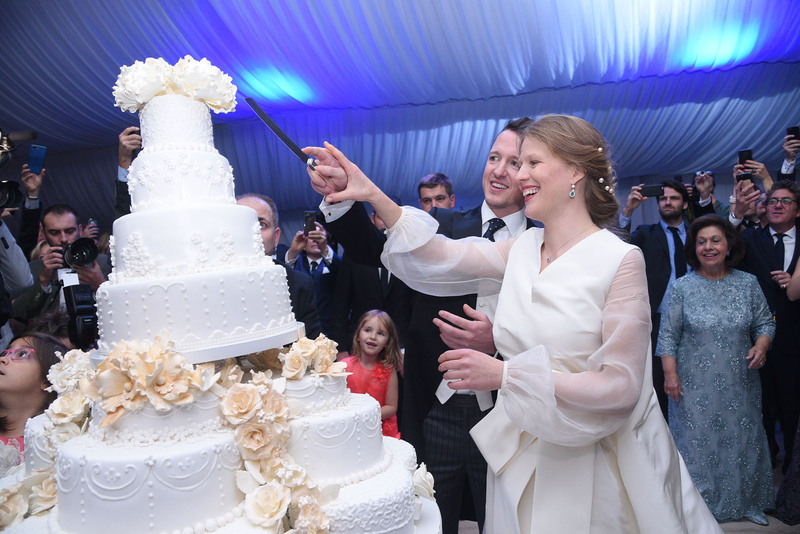 Their Royal Highnesses Crown Prince Alexander and Crown Princess Katherine and everyone were especially delighted that Her Majesty Queen Sophia of Spain and Her Royal Highness Crown Princess Victoria of Sweden came especially for the wedding. 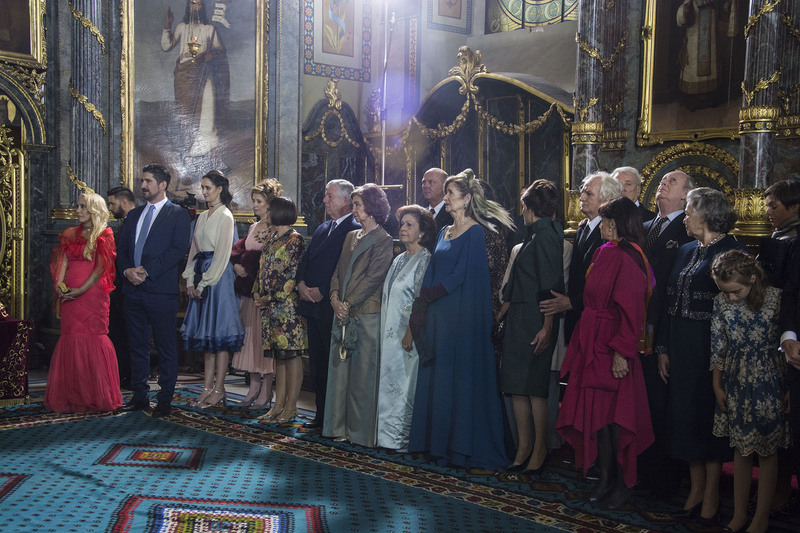 The mother of the groom Her Royal Highness Princess Maria da Gloria of Orleans and Bragança, Duchess of Segorbe and her husband His Grace the Duke of Segorbe come from Spain. 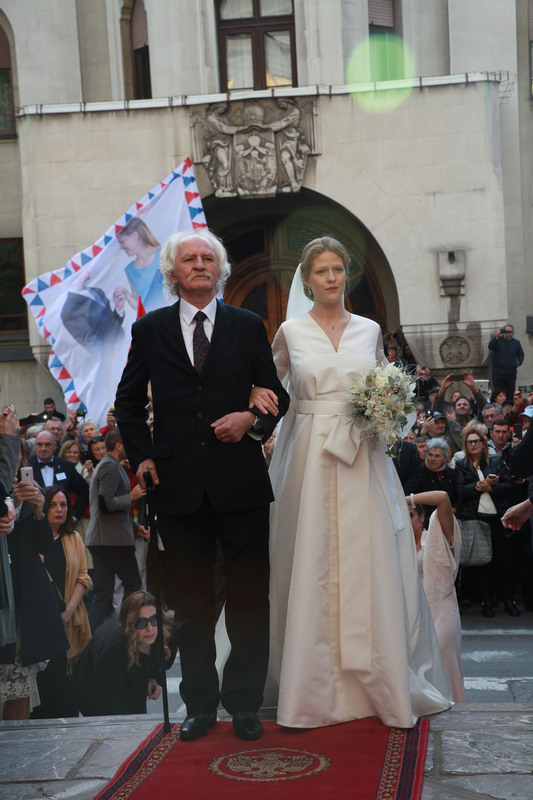 The dress of the bride was created by the world known fashion designer Roksanda Ilincic. 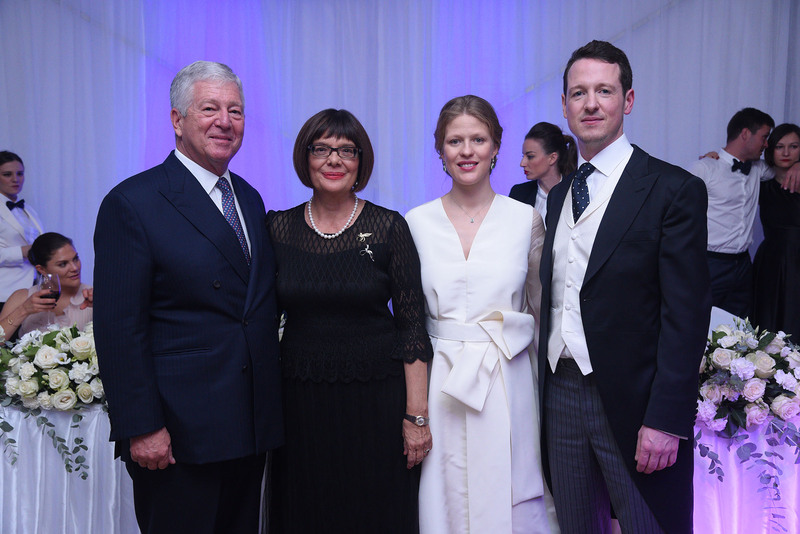 Following the wedding in Saborna Church guests went to the White Palace for a reception followed by dinner. 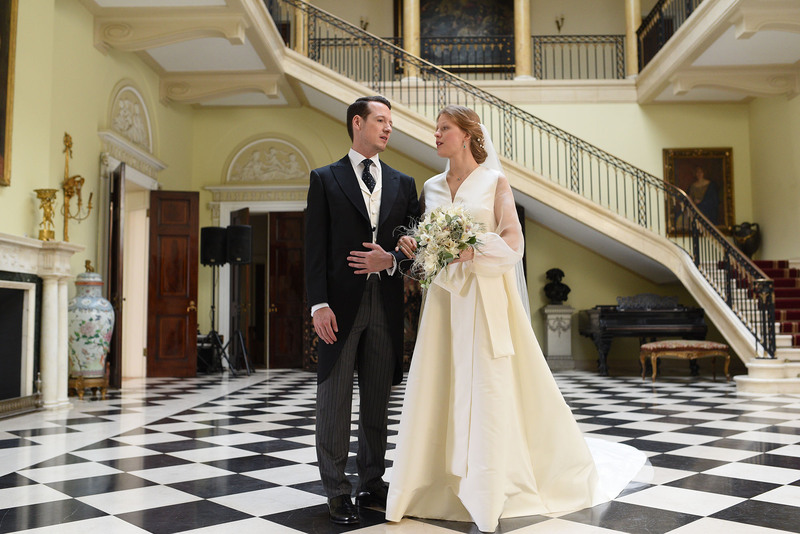 The White Palace was built by H.M. King Alexander I of Yugoslavia the great-grandfather of Prince Philip. 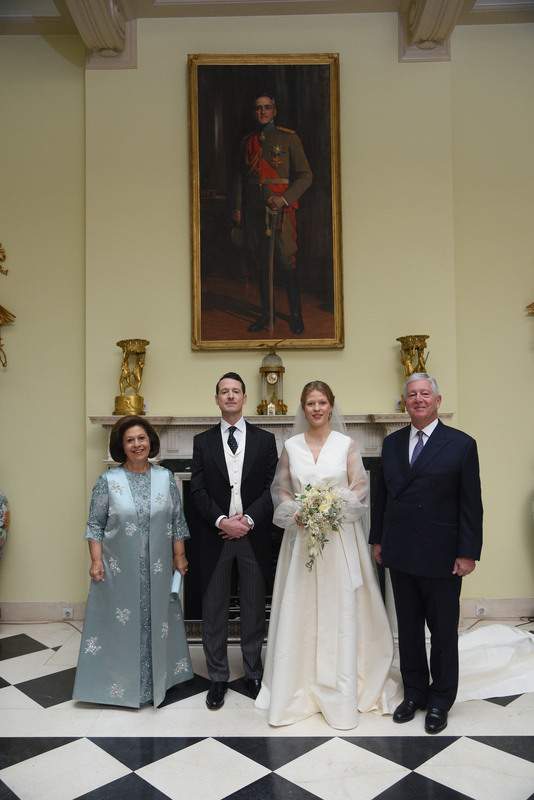 Later Crown Prince Alexander Prince Philip, the groom, addressed guests. 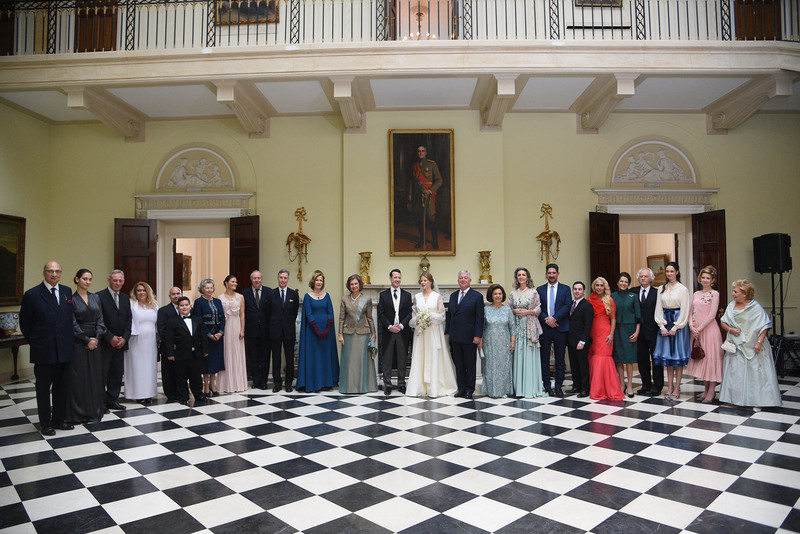 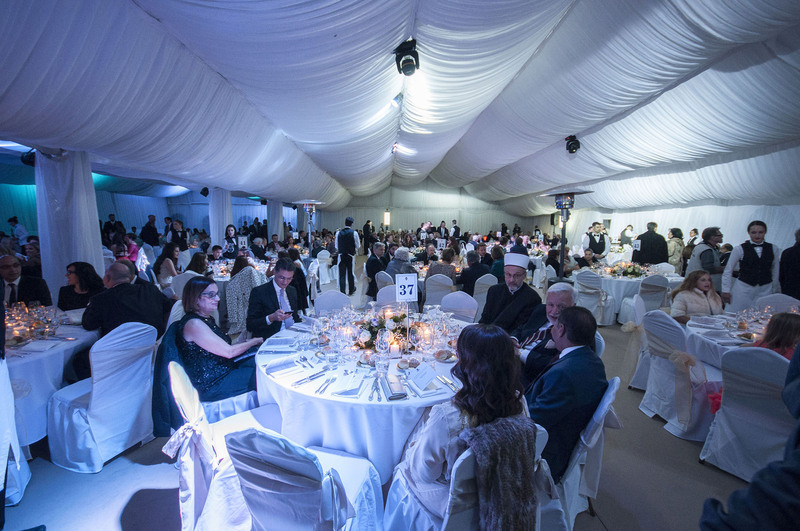 The Royal Wedding in Belgrade was attended by the Royal family – TRH Crown Prince Alexander and Crown Princess Katherine, Their Royal Highnesses’ children Prince Peter, Prince Alexander, Alison and David, Alison’s son Michael, David’s spouse Dr. Angeliki Andrews Margariti and their son Alexander, HRH Crown Princess Katherine’s sister Mrs. Betty Roumeliotis, HRH Princess Linda Karadjordjevic, TRH Prince Mihailo and Princess Ljubica, HRH Princess Elizabeth of Yugoslavia, TRH Prince Serge and Princess Eleonore Karadjordjevic, HRH Prince Nikola Karadjordjevic, a large number of the members of the European Royal Families: TRH Prince Guillaume and Princess Sibilla of Luxembourg, HH Prince Amyn Aga Khan, HH Princess Jeet Nabha Khemka and Mr Nand, numerous friends of the Royal Family and Marinkovic families, HE Mrs Maja Gojkovic, speaker of the National Parliament, many representatives of the diplomatic corps, distinguished personalities from the world of culture, arts and politics, members of the Advisory Bodies of the Crown, as well as many citizens and supporters of the constitutional parliamentary monarchy. 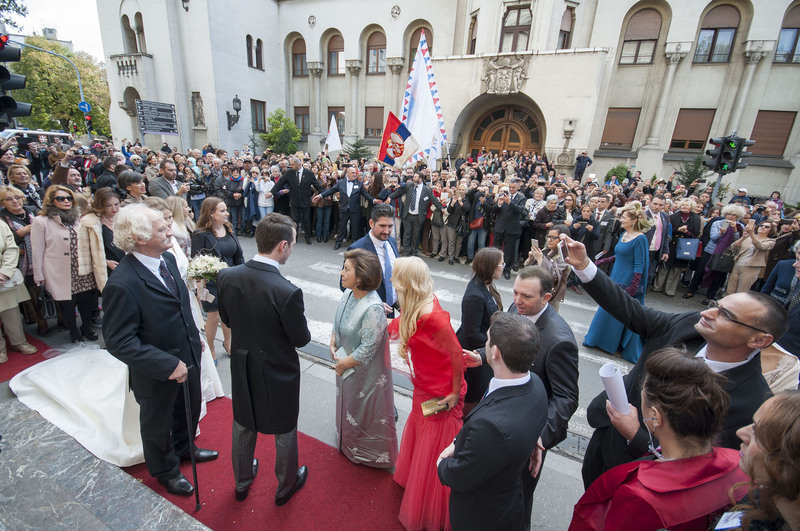 The Royal Family thanks everyone who helped to get the Royal Wedding organized: His Holiness Patriarch Irinej, Saborna church, Ministry of Interior, City Secretariat for transportation, Military Medical Academy, Airport “Nikola Tesla”, City Greenery, Tourist Organization of Serbia, Tourist Organization of Belgrade, Telekom Serbia, St. George strings, Jadranka Jovanovic, Lena Kovacevic, Talija folklore dance troupe, pianist Mrs. Nada Matijevic, Dijana Sretenovic, Marko Aleksic, Sky Music, LMJ doo, Event Service, fashion designer Roksanda Ilincic, Maruska fashion, Afrodite Mode Collection, Mona, Luna, Balašević, Fabi shoes, Zepter, Paracinka, Ivkovic, Anbora printing, Excelsior, Euro papir, “Work in progress”, DHL, Atelje Antre, Ivona flower shop, Tiny Mine Jewelry, Duska hair stylist, Sladjana Todorovic (the wedding cake), Artival chocolates, Restaurant Sapat, Nada Butchery, Moritz Ice Cream, Azzaro Club, Bean and Leaf Coffee, wineries Kovacevic, Aleksandrovic and Rajkovic, Royal Winery Oplenac, Coca-cola, Prolom voda, MG Mivela, Benisek i Veselinkovic, Stara Sokolova rakija, Pernod Ricard, Unipak, Diz higijena, TV Prva, Adria Media Group, Mr. Neil Barnett, Mr. Brent Sadler, Hotels – Hyatt Regency, Square Nine, Metropol Palace, Radisson Blu, In Hotel, Zepter Hotel, Crystal, Courtyard Marriot, Kolasin busses, Toyota, Porche, Mercedes, Budget rent-a-car, Dusko Knezevic – Atlas Group, Fiat, Limo-star, Protecta, The College of Hotel Management, Uros Savic, Daniela Celikovic, Cristina Egger, Aleksandar Djordjevic, Milan Culic, Maria Diamondopolous, Celia Kritharioti, Nico Krithariotis, Dame Mervyn Redding, Valerie Peay, Maria Tsakalou, Alexia Tsakalou, MK Group, photo and video Nemanja Petrovic, Nikola Rudic, Dragan Bogdanovic, Nemanja Brankovic, Nikola Mladenovic, Vladimir Jablanov, Zika Slika and all the volunteers and friends for their great help.